Horticulturist by training. Now working as the national coordinator of Save Our Rice campaign, a campaign to protect and enrich the rice culture of India. Have been active with the environmental movement in Kerala since 1985. Have worked in the agriculture department for two years and later resigned to work on western ghats ecology , mainly looking at the agriculture development policies in the western ghats. Have been working in the field of sustainable and ecological agriculture for the last 15 years- training farmers and youth , working on the state and national policies to give more support for ecological agriculture, to develop markets for small scale organic producers etc. 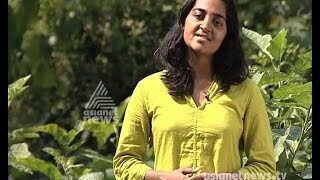 Have studied the issues of chemical pesticides in Kerala and have been advocating for an effective regulation of the same for the last 15 years . Is a member of the women and agriculture task force of pesticide action network Asia and the pacific. Also was a member of the women and environment task force of APWLD. Now focus on decentralization , green development and livelihood generation , ensuring a safe and peaceful future for the children.